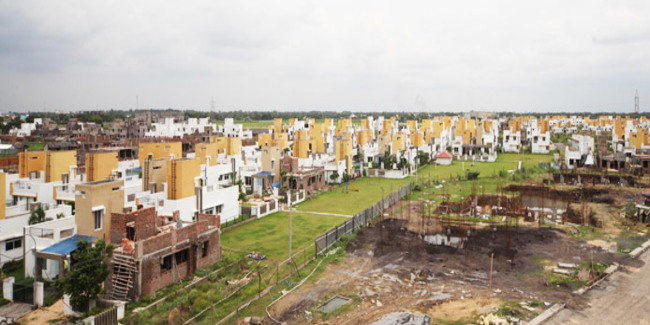 Details: The project is coming up at Burdwan in South Bengal spred over 254 acre of land. The project offers bungalows, plots, flats, apartments, twin houses, eco homes and commercial spaces. Add to this the state-of-the-art 24x7 infrastructural facilities like electricity, water, wide roads, piped gas and more. Apart from the basic amenities, the project offers Landscape Garden, Childrens play area, 24/7 Township security, Hospital, 2 International Standard Schools, Resort, Swimming Pools, Library, Gymnasium, Club and Banquet facilities, Shopping Plaza, Yoga & Meditation, etc. Kolkata - 700107, West Bengal. N-85B, Panchsheel Park, New Delhi-110017, Delhi.